We serve the global community, aiming to empower individuals and teams to streamline, collaborate, and be more productive and efficient. Creativity 365 is a comprehensive, cross-device contention creation toolset designed for business and creative professionals. The suite aims to help individuals and teams collaborate and improve their productivity and efficiency. The set includes 5 apps Animation Desk, NoteLedge, PDF Markup, Pocket Scanner, and Write-on Video along with 1TB Kdan Cloud storage and access to Kdans online communities. *Special and bulk purchasing options available for educational institutions and businesses. Creativity 365 Reviews Recently Reviewed! For range and ease of use, you'll be hard pushed to beat the Creativity 365 apps. 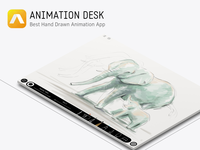 Pros: I've been using the Creativity 365 apps for years now, having been so impressed with my first purchase, Animation Desk, that I had a look for any other KDAN mobile apps, and quickly followed my original purchase with Write on Video and NoteLedge. 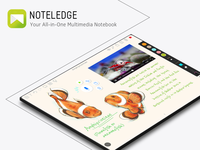 From the versatile video editing range of Write on Video, the creative variety in Animation Desk, and the multimedia, web page and information recording giant that is NoteLedge, you really will find them difficult to beat. 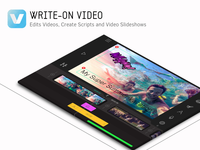 Cons: I can't really fault any of these apps, and if I was to find fault it would be with Animation Desk and inability to put writing on your videos directly. Still, that's what what Write on Video is for. Creative 365, the perfect software for creative people. 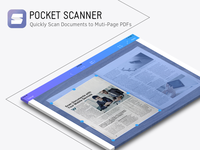 Pros: This software has allowed me to optimize my work, the scanning and saving function is excellent and allows me to securely and professionally share my files. Ideal for taking notes and adding and removing stickers and photos. The video editing tool is super easy to use and allows you to customize and mix them with photos. In general it is very easy to use, you can use it from your phone. Cons: I think it takes a couple of tools for the video editor to make them more personalized but I don't find many disadvantages about this software. Overall: The ideal software to let your imagination run wild. It has allowed me to save notes in a very creative way and share them with others. Excellent for use from my phone and ipad. Creativity 365 is probably the most complete productivity pack that exists. Pros: Creativity 365 software pack encompasses a wide range of functionalities, overlapping between each other and creating a complete set for any busy professional. Best thing is : the apps are super easy to use. Cons: I wish the developers released more apps and included them into the pack, so by downloading just one pack of apps I could never worry about anything anymore. Photo editing app would be great for example! Country Manager in Korean startup, Toss Lab. experienced company fast growth. Pros: Easy to use is the main reason I chose this software in my list. as a startup in Asia, we need a software who really care of us. secondly, the price is inexpensive but the product is high quality. Overall: ease to use and affordable. If you are the type of mobility and amateur use of design or notes, Creativity 365 would better. Pros: For users like me whose main occupation is not design-related, Kdan's Creativity 365 has the mobility and convenience that work best for me. 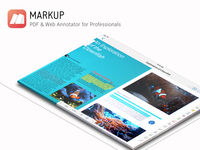 On a daily basis, I capture and highlight important website contents with PDF Markup. After that, I proceed to NoteLedge to organize my notes. Occasionally, I edit video keynotes or multi-media projects with other software applications. All of these tasks can now be done on an iPad. Especially now that the iPad Pro works with Smart keyboard, my productivity has increased to a significant extent! Cons: As I mentioned in the previous feedback, coming from a non-design background, I mostly use it for organizing documents, managing information, and taking self-learning notes. While Creativity 365 serves as an mobile version of Adobe, most of its features provided are way more sufficient than my needs. My suggestion to this is to provide two separate membership plans (payment packages): For-Documentary and For-Design. By conducting such customer segmentation strategy, the software may gain a larger user base. Pros: I enjoy being able to get creative, to use these applications to help me streamline my work in many ways and be more productive. I really like using NoteLedge to take notes, add photos to those notes, and to be organized. I also find myself using Write-On Video a lot to spice up my videos, mash photos and videos together, and add more to them for friends and family. Cons: I really wish there were more sticker options to use. I love using the stickers, and wish that there were more. Almost every time I have to re-download the sticker packages and I'm not sure why that does that. Pros: I use the PDF and Scanner apps to read technical documents and sometimes scan academic articles or research documents. I like the mobility of the apps which allows me to carry my documents everywhere so I can continue my work when I'm attending meetings, conferences or traveling. Overall: The apps works very well on mobile, but the features and user experience are quite different from the desktop version. I don't use the desktop version that often because the reading and note taking experience is way better to me on iPad. But when I need to work with my computer, the desktop version does come in handy. Pros: Creativity 365 has some awesome features, the best I've found are the PDF mark up and the ability to write text over videos. This has made presentations a lot more efficient for me. Cons: I was paying monthly for the PDF mark up app before I realized there's a monthly option for the entire suite that's more cost efficient. I've switched plans now, but I have no major complaints about the software as a whole. Creativity 365 is about capturing every aspect of the creative process from notes to video editing. Pros: It's a self contained ecosystem that lets me export projects between different apps, and share them with others using Creativity 365. The more people using the software and contributing to the shared space, the more templates we get for free inspiration! And subscription rates are not expensive, they even throw in a free Adonit stylus. Cons: Some apps like the video editor feel more neglected than their star apps like PDF reader, but this is only to be expected since the latter was their first app and hence most mature. It's really useful for anyone who needs to take notes or make your ideas visualize. Overall: It allowed me to take notes more quick and easy. Pros: Basically, for us who worked in a creative company, it made our job easier and saved time. Together with the teams, without them being dislodged from their work units in order to constantly hold meetings. Cons: At first it's a bit complicated, but when you catch the rhythm you don't let go. Creativity 365 allowing people to work anytime and from anywhere. Pros: It is now customary to send digital documents. I love being able to professionally scan and save needed files. It not only saves space because the PDF storage space is smaller, it also offers a secure and professional ways of sharing the files. Cons: Pocket Scanner is really helpful when I not in the office. If The Real-time Edge Detection feature of Pocket Scanner could be more accurate, it will be perfect.